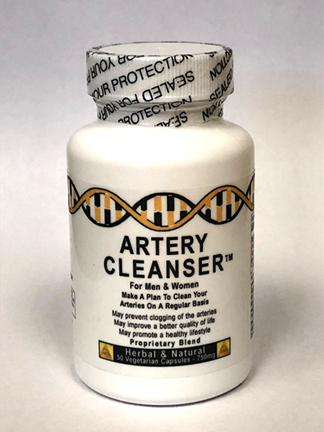 Artery Cleanser - 750 mg, 50 vegetarian capsules (Novus Optimum) - Penn Herb Co. Ltd.
Promote a healthy lifestyle with Novus Optimum's latest formula - Artery Cleanser. Use on a regular basis to support healthy arteries. Proprietary Blend 500 mg - Fermented Seed Extracts, Solanum lydopesicum, Vicia Faba Extract (Fava beans), Cyana scolium Extract (Artichoke), Flaxseed Extract, Bioflavonoids. NO sugar, preservative, artificial flavor, artificial color, lactose or yeast. On an empty stomach, 15 minutes before food, 1 capsule in the morning, 1 capsule before bedtime. May be increased to 2 or more capsule based on body weight or specific concern or as directed by a medical practitioner. PREGNANT OR LACTATING WOMEN SHOULD CONSULT THEIR MEDICAL PRACTITIONER BEFORE USING THIS PRODUCT.